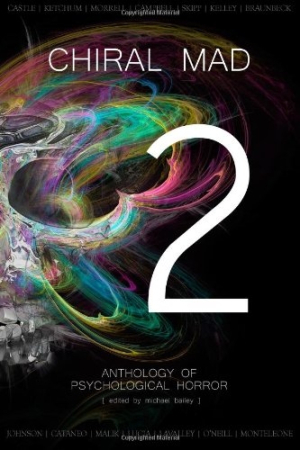 In this second volume of psychological horror, Chiral Mad 2 contains twenty-eight short stories by established authors and newcomers from around the world. All profit from sales of this anthology go directly to Down syndrome charities. Featuring the imaginations of David Morrell, Ramsey Campbell, Jack Ketchum, John Skipp, Gary A. Braunbeck, Mort Castle, Gene O'Neill, Gary McMahon, Lucy A. Snyder, Thomas F. Monteleone, and many others, with an introduction by Michael Bailey.